World travel means exploration. Broadly, it enables us to explore new cultures, new languages, new foods, and new ways of life. More specifically, it sends us off to explore museums, restaurants, hiking trails, and historic buildings that will tell a new city’s story. My favorite spots to explore are the ones you find off the beaten path, where the chances of uncovering something completely unexpected are a bit higher. That’s why, when Adam and I traveled to Prague, we decided to visit Sedlec Ossuary- the bone church. 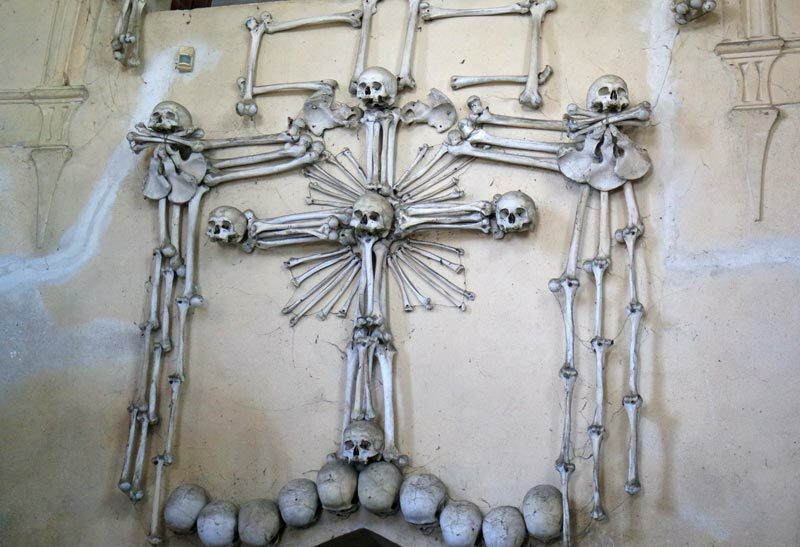 That’s also how we came to stand in a church constructed entirely of human bones. 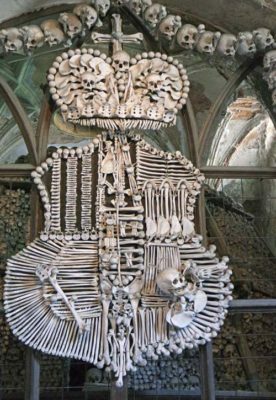 To be fair, neither of us had done a lot of research on Sedlec Ossuary before joining a day trip that took us to the famous bone church, located in Kutná Hora just about an hour east of Prague in the Czech Republic, or Czechia. After spending a few days in Prague we wanted to see more of the country, and because Kutna Hora is a UNESCO World Heritage Site it seemed like a great choice for us. Kutna Hora is, indeed, a lovely historic town, but it’s the Sedlec Ossuary bone church that captured our imaginations. 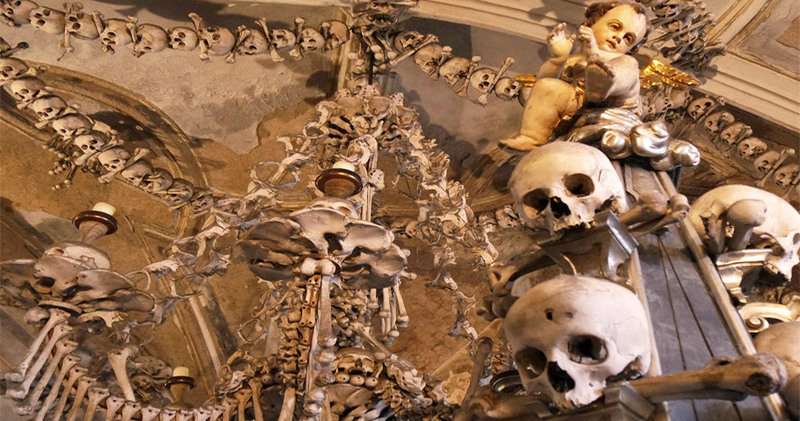 If you are planning a trip to Prague—or if you are wondering why in the world a bone church came to exist—you might be surprised that this macabre destination strikes a nice balance between spooky and peaceful. 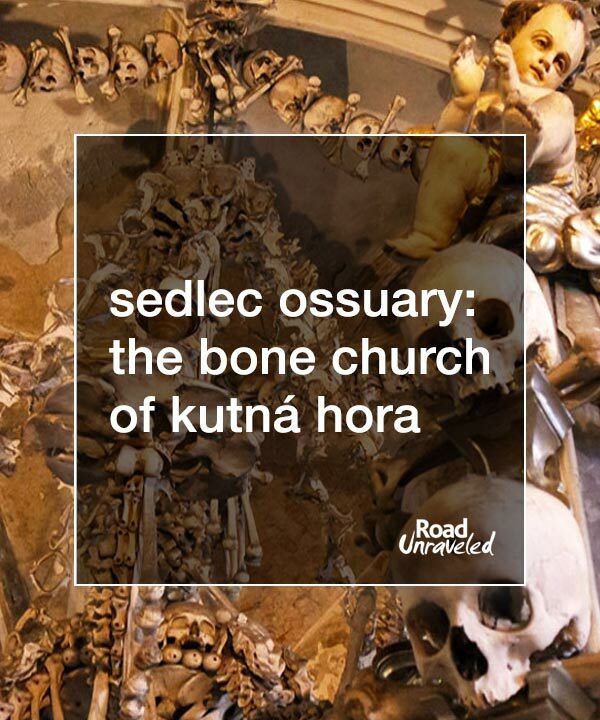 Sedlec Ossuary’s history dates back further than you might think: the bone church itself wasn’t built until the 1400s, but its destiny was set more than 100 years earlier. In 1287 Henry, a Cistercian abbot, traveled to Jerusalem at the request of King Otakar II of Bohemia. 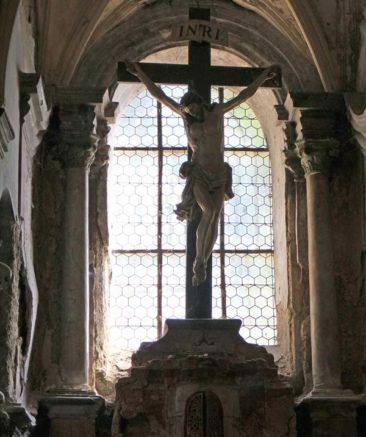 While there, he obtained a small container of soil from the grounds of the Church of the Holy Sepulchre in Golgotha, which is where the New Testament states that Jesus was crucified. Upon his return he sprinkled the soil on the cemetery grounds in Kutna Hora. It didn’t take long before word of Henry’s act got out; in fact, the cemetery became an increasingly popular place to request burial. The volume of graves further multiplied during Europe’s Black Plague, when thousands of people succumbed to the illness. 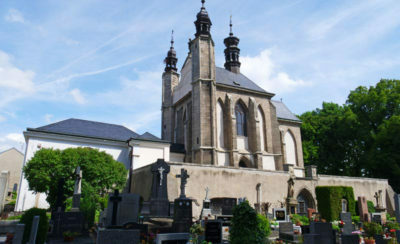 Many people brought deceased relatives for burial in the cemetery, and some people even traveled to Sedlec so they would be there when they died. With the cemetery at capacity, around the year 1400 the monastery built a church with an ossuary at the center of the graveyard. The ossuary was intended to serve as the final resting spot for the thousands of people who had already been buried in the cemetery. 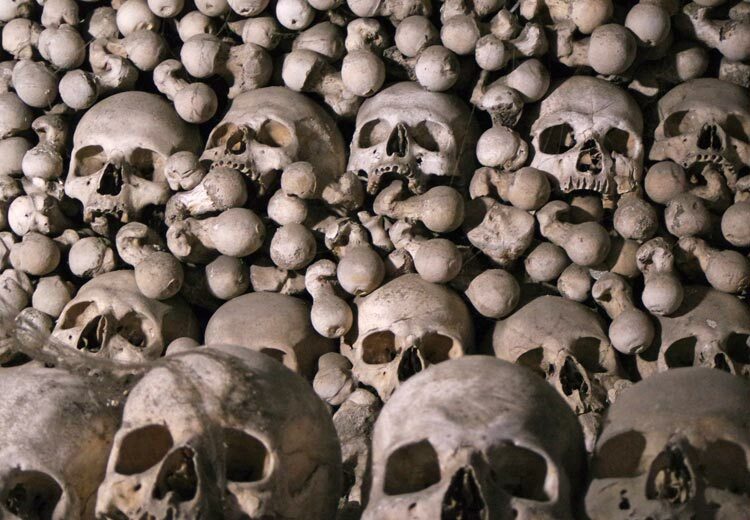 In the 1500s tens of thousands of graves were exhumed, and the human remains were stacked inside of the church. The task of relocating the remains was trusted to a monk who suffered from poor vision, and for a few centuries the bones sat in piles in the ossuary. In 1870 a woodcarver named František Rint was employed to create a more artistic arrangement to display the skeletal remains, and that result yielded what we now know as the bone church. It requires a bit of a morbid curiosity to visit the bone church, and admittedly I was more intrigued than Adam, who worried that the whole experience would be a disrespectful attempt at honoring the dead. When we arrived, standing just a few hundred feet from the ossuary’s entrance, the church appeared to be like any other we have visited: stoic, peaceful, and reflective as it stood among hundreds of gravestones. 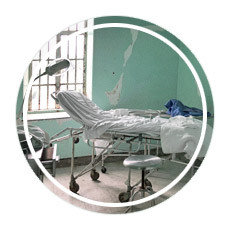 Still, my pulse quickened a bit as we approached the entrance as I prepared myself to stand face to face with the remains of more than 40,000 people. Inside, the bone church’s gothic influences are striking as a backdrop for the artistic display of skeletons. 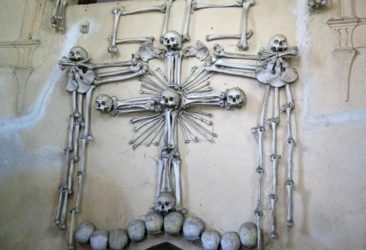 At first it looks a bit like a haunted house: the church is decorated with skulls, crossbones peek out from every corner, and plenty of bones are on full display as they are draped like curtains that flow from the ceiling. We stood in awe of the Schwarzenburg family’s coat of arms constructed entirely out of bones; it was the Schwarzenburgs who commissioned the artistic arrangement of the remains in 1870, and the coat of arms serves as a tribute to them. 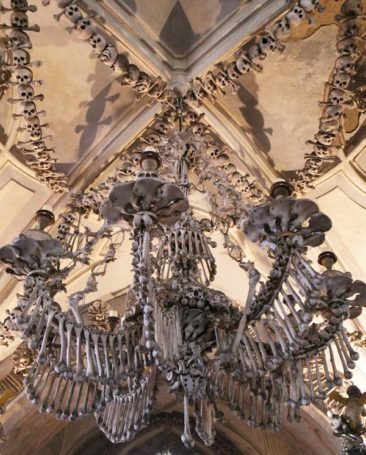 Chandeliers comprised of only bones hang from above, with strategically placed cherubs watching over them. The walls are dripping with skeletal artwork arranged as crosses or creative décor. In some spots tall display cases stand with nothing but human skulls stacked inside of them; some of the skulls show signs of trauma that was likely incurred during a war. It’s startling, creepy, and beautiful all at once. A visit to Sedlec Ossuary—the bone church—is an easy day trip from Prague. We took an organized tour to get there because we didn’t have a rental car and there isn’t a direct public transportation option: a combination of trains and buses will extend your journey from one hour to almost three hours depending on traffic conditions. Tours also have the added benefit of providing a knowledgeable guide who can share interesting facts, and a day trip will also take you to see more of Kutna Hora and the beautiful countryside. 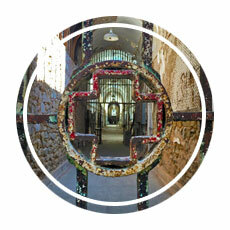 If an independent visit is more your speed, consider staying overnight in a hotel close to the bone church. Kutna Hora is a small town, and you’ll find everything—including the bone church—to be within a short walk of your accommodations. The bone church itself is open almost every day, and a visit likely won’t take more than an hour or so of your time. The church’s interior is small enough that a 20-30-minute visit would be more than sufficient if you want an in-depth look or lots of photos. If the weather is nice, spend some time outside as well. Although the primary attraction is the artistic final resting place for the thousands of people who once resided in graves, there is still a large cemetery where more recent generations are buried. As of March 2018, admission to tour the bone church is 90 krona (about 4.50 USD). There isn’t a formal tour provided onsite, so if you want any form of guided visit your best bet will be arranging a day trip from Prague. 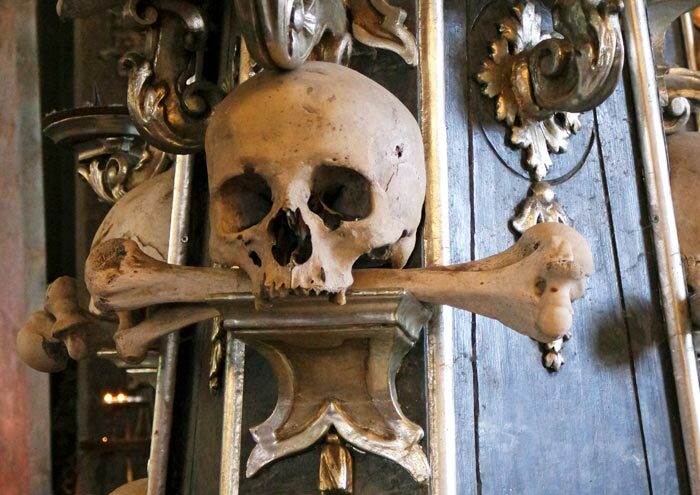 Want to see the Bone Church for yourself? 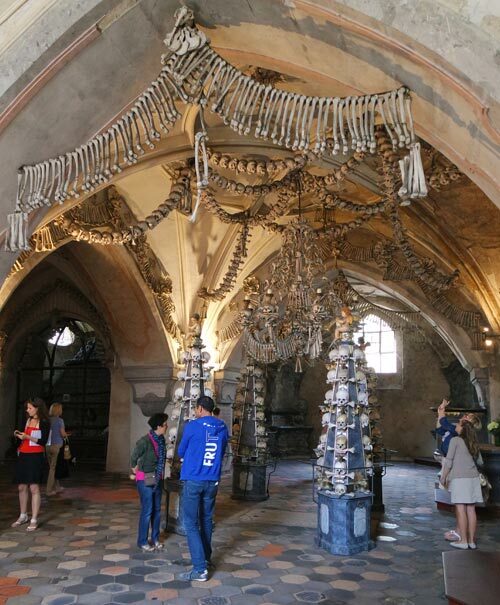 Sedlec Ossuary is a popular day trip from Prague- it’s only 1 hour away by car. Here are some deals to consider! A visit to the bone church might seem like a strange way to spend a vacation day, but you’ll be surprised by its macabre beauty and fascinating history. If you’re looking for some more inspiration, we love this video that showcases some of the artwork you’ll see at the Sedlec Ossuary. It really is a stunning tribute to the people who wanted the holy site to be their final resting place. Looking for more spooky destinations to visit? 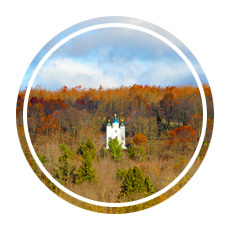 Check out a few more of our favorite off-the-beaten-path spots! 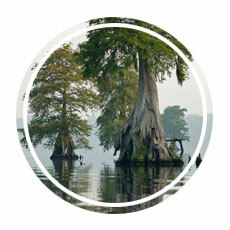 * From time to time, our travels are directly impacted by a service or company. 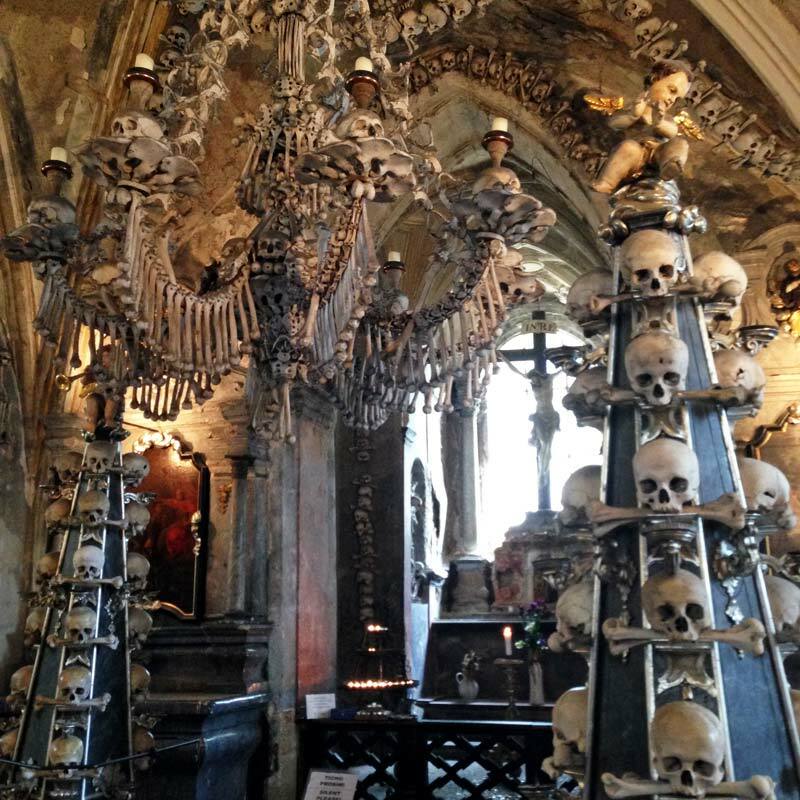 This post includes our candid review of our experience at the Sedlec Ossuary. We selected this location based on our own research and travel needs; we were not offered and did not receive compensation of any kind from them or any other party in exchange for our review. Learn more about our travel philosophy here.